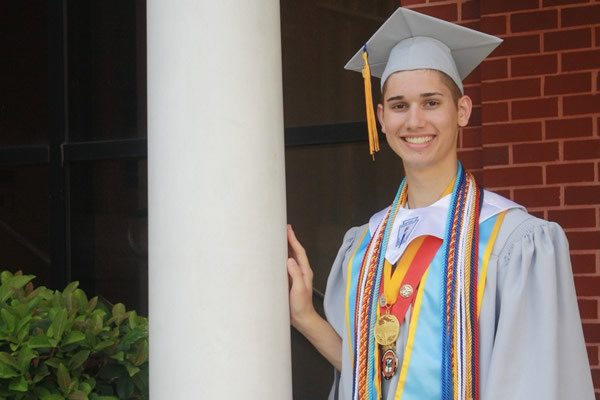 August 7, 2018 at 9:31 am EDT | by Lou Chibbaro Jr.
Seth Owen, 18, a gay high school senior in Jacksonville, Fla., who was accepted in June to Georgetown University, said he thought his dream of beginning classes at the prestigious college this fall had come to a crashing end. He said his religious parents who pressured him into undergoing conversion therapy last year gave him an ultimatum earlier this year. He would either have to continue to attend the church with his family that was outwardly hostile to gay people or he would have to leave home. “For his own well-being and safety, Seth chose the latter,” said Jane Martin, one of his high school teachers and mentor who created a GoFundMe page to help him pay his first-year college tuition after his parents told him they would not support him any longer. “His parents have refused to support him emotionally or financially because they deem his sexual orientation inconsistent with their religious beliefs,” Martin said in her GoFundMe message. 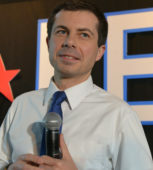 “Throughout this year Seth held his head high and continued to work almost full-time while finishing high school at the top of his class as the co-valedictorian,” she said, adding that he was living with friends. She noted that when Georgetown accepted him it provided a financial student aid package based on the assumption that his parents would provide the balance of tuition and other expenses not covered by the school’s financial aid. When Owen’s parents made it clear they would not cover these expenses he learned he would be hit with a $20,000 bill to cover his first year, Martin wrote in her GoFundMe message. “I started to cry because I realized there was no way that I could go to college,” he told ABC News. Accompanied by a photo of Owen dressed in his high school graduation cap and gown with ribbons and metals hanging around his neck to signify his role as valedictorian and student leader, Martin published the GoFundMe page, which asked potential contributors to help raise the $20,000 to cover Owen’s first year expenses at Georgetown. In a development that amazed both Martin and Owen, the GoFundMe effort went viral on social media and was picked up by several local and national TV news outlets as well as newspapers. Since it went online, more than $140,000 was raised by more than 2,500 individual donors as of early this week. In an Aug. 3 statement he released to ABC News, Owen said that Georgetown University officials over the past several weeks reviewed his requests made earlier this year for an “adjustment” of his financial aid package following his parents’ refusal to support him. 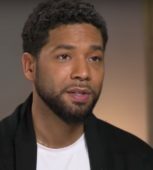 He also said in his statement that he’s considering plans to use the balance of the money raised for him by the GoFundMe campaign, over and above his living expenses related to attending Georgetown, to create a scholarship fund for LGBT students. “At the moment, I am in process of exploring the establishment of a scholarship to help LGBTQ+ scholars who find themselves in the circumstance I was in earlier this year,” said Owen in his statement. “I am looking forward to utilizing the resource of Georgetown to help with this effort,” he said. “Thank you to all of my supporters in Jacksonville and across the globe who have given their time, talents, and financial support to help me make my dream of attending Georgetown University a reality,” his statement says.